When the Continental first got its nameplate in 1952 for the Bentley R-Type, it was the world’s fastest four-seater. It’s always been a very potent motorcar, and 65 years on, it still is. Bentley is clearly not lacking in ambition with this one. By the looks and sounds of it, the new Continental GT might be one of the best grand tourers the roads will see. 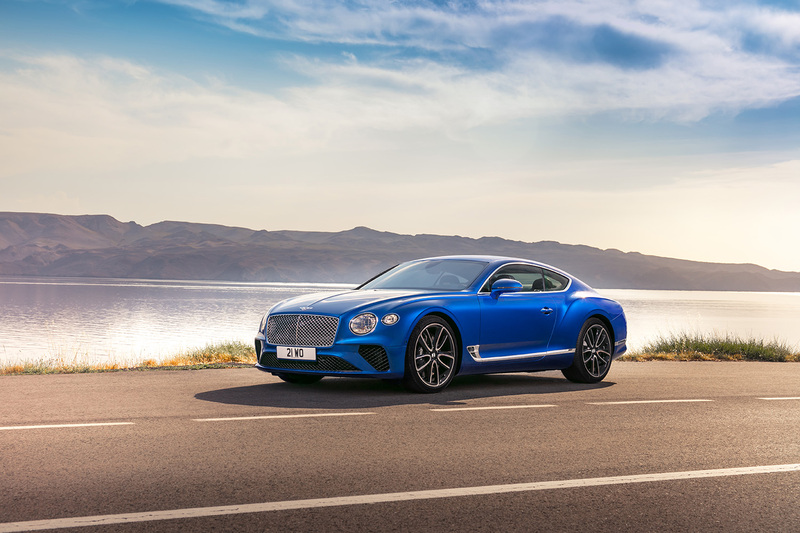 Proudly conceptualised, engineered and handcrafted in Britain, the new Continental GT is the perfect balance of luxury of performance. 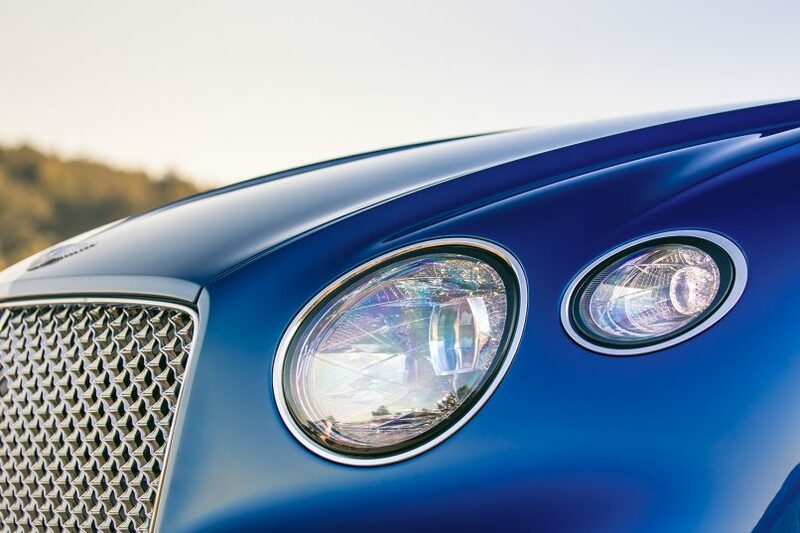 It’s a bold claim to say that this is Britain’s definitive grand tourer, but Bentley is a brand with heritage it’s unabashedly proud of. The third-generation model is completely conceptualised, engineered and handcrafted in Britain. Even the person responsible for its dashing good looks — Head of Exterior Design John Paul Gregory — is British. To make the car appeal more emotionally, Gregory sought inspiration from both the past (the R-type) and the present (the EXP 10 Speed 6 sports car concept). 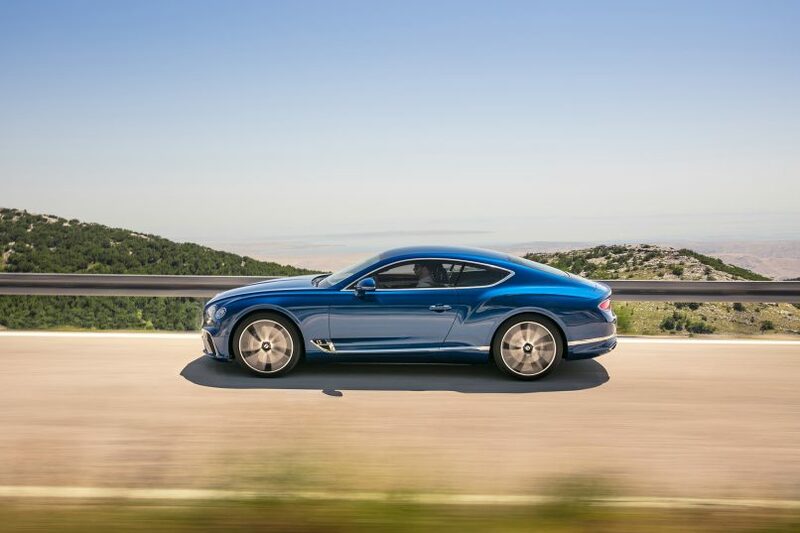 By pushing the front wheels forward, the Continental GT now appears longer and lower for a sportier stance. The result is a skilful demonstration of proportion, with just the right amount of muscle and curves to make you do a double take. By pushing the front wheels 13.5cm forward, the Continental GT’s profile now appears longer with the extended bonnet, and lower at the nose. The signature ‘power line’ still dominates the facade of the car, emphasising the brawny rear haunch that echoes that of a predator waiting to pounce. 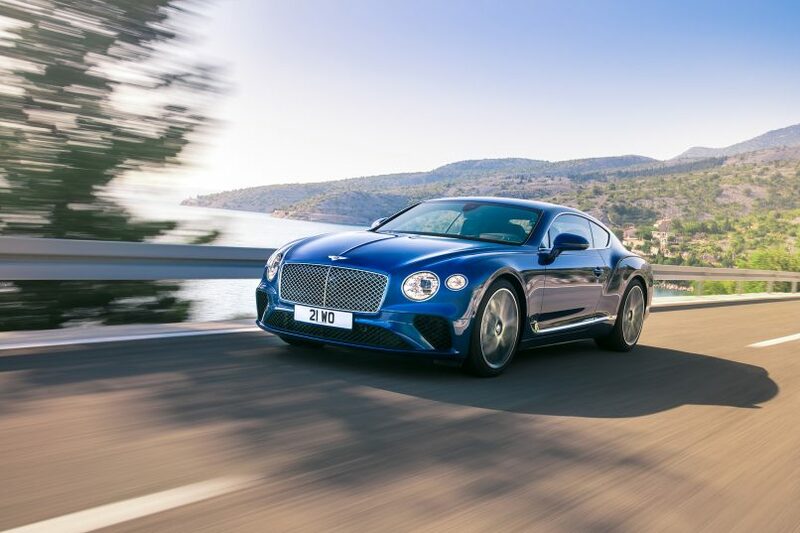 The headlights and huge mesh grill are inspired by the Bentayga and EXP concept, while the swooping front sills in the bumper are still a recognisable feature from the previous generation Continental. The entire design process from paper to production vehicle is a tedious three years long, and Gregory jokes that it’s a good sign he still likes the car despite facing difficulties. “The biggest challenge for any designer is to meet the global requirements. We’re a global brand and we sell in every market; each has its own legislation and laws, and we have to fit into all these requirements to sell the car. To hold on to that spirit you’ve created from the start and bring it to the market place is a hurdle I have to overcome. Even small details such as fitting varying sizes of number plates to the rear have to be considered since this is a very low and wide car. As the model is evolving into a production-ready car, I always have the initial sculpture by the side to constantly reference to ensure that I still have the message I was gunning for in the beginning,” he explained. Sharply defined facets help create a dazzling glow while keeping to road requirements. Yet with all that exterior pizzazz, the designer’s favourite feature is the latest LED Matrix technology lighting. Referencing fine cut-crystal glasses, the often-neglected head lamps and taillights are what Gregory calls “jewellery” for the car. Its transparent internal surfaces see sharply defined facets that catch the light like a diamond while still meeting legal traffic requirements. 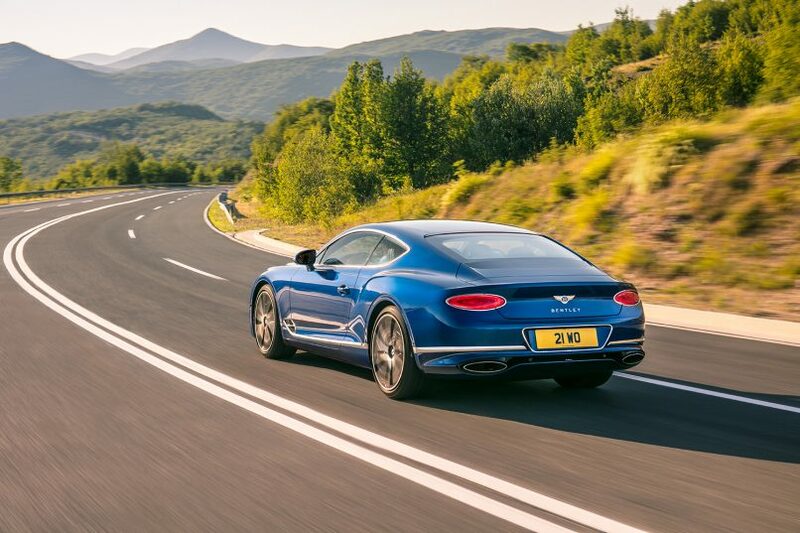 Now lighter, the Continental GT provides better fuel efficiency and performance. At 80kg lighter, the refreshed 6.0-litre W12 has less to lug around. Coupled with an eight-speed dual-clutch gearbox and all-wheel drive, the colossal powertrain launches the grand tourer to 100kph in 3.7 seconds and a flat-out speed of 333kph. The infotainment touchscreen swivels to reveal all the information you need without stripping away the elegance of the car. 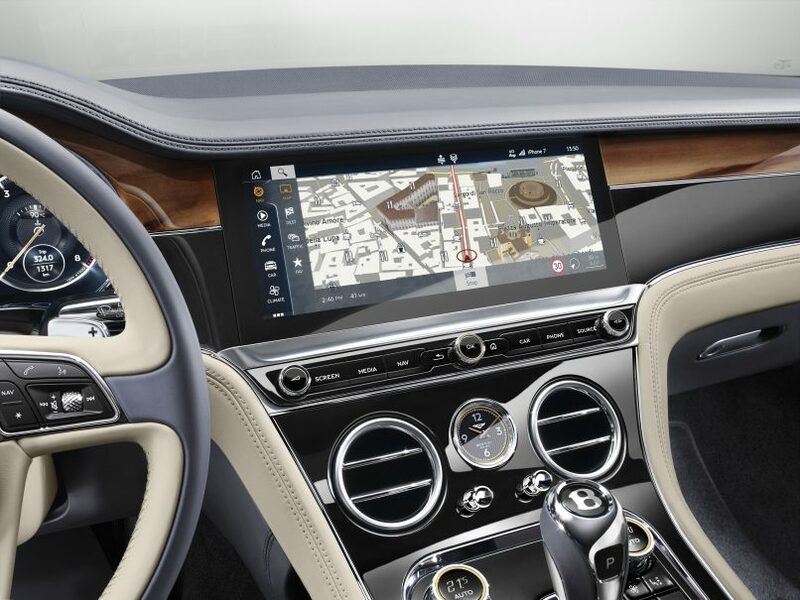 It’s no secret that Bentley is king when it comes to extravagant interiors, so when we were presented with its new party trick — a 12.3-inch touchscreen that flips over to reveal itself from behind a wood veneer — we weren’t surprised. Like a fine suit, it sits snugly on the dashboard alongside the generously-swatched leather and and metal switchgear. The new ‘diamond-in-diamond’ quilted design exemplifies Bentley’s dedication to creating some of the most luxurious cabins around. This grand tourer can be tailored to your exact specifications, but always, always go for the quilted leather. Highly unlikely, but should you ever tire of the W12’s symphony, the 2200W Naim studio system with ‘Active Bass Transducers’ will drown it out effortlessly. “This car is literally for that purpose. It has performance when you need it, and can react to situations on the road. You can live with it everyday, it’s comfortable and you feel refreshed when you get out of the car after a long journey. It’s almost the definitive grand tourer, ” said Gregory. There are not many things that can rightfully boast being quintessentially British. The Big Ben, afternoon tea and the Queen are but few. And then there’s Bentley — the icon of British automotive engineering since 1919 — and its Continental GT, the epitome of grand touring.